*dance* Wait. Just gimme a minute. This song is AWESOME! Ahemhurmhurm. Okay. I’m done. I swear. Before I begin, those of you who have been around this blog for a while, know my review policy. For those of you who don’t, or who haven’t been around long enough, the short and sweet is; I will never give a book or movie five stars. It defeats the purpose of a review. How annoying is it to go into Amazon and see a five star review consisting of OH MY GOD THIS THING IS AWESOME (insert your own choice of spelling here). Conversely, one star reviews amount to the same thing. So, my rating system ranges from 1.5 to 4.5 with 4.5 being the highest I will ever give something. And now you know. Check it out. I’m gonna say this right off the bat; if you don’t like Legos, you’re not gonna like this movie. You WILL walk away from this thinking that it’s a giant commercial for the toy. And, it totally is. That does not take away from its awesome. 4.5 I’m a kid at heart. I still go SQWEE when I get to go to theme parks. I still play with Legos, and if I had kids, I’d totally play Barbie gets eaten by Godzilla in the middle of Tokyo. I plan on throwing my money at the Lego store and having a room in my house full of Legos that will magically, over the course of a few years, turn into a Lego Wonderland. Because that’s how I do. I’m the kind of person who watched Pacific Rim for the sheer fact that giant Gundams fought monsters. There was no story. It tried very hard to have a story. There was no NEED for a story. 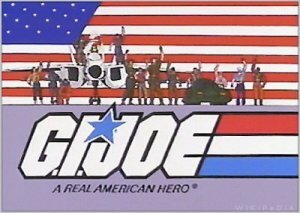 There were monsters and Gundams, and no one gave a damn about the people. Because Gundams. So, I was able to turn my higher brain functions off and enjoy the CRAP out of the Lego Movie. 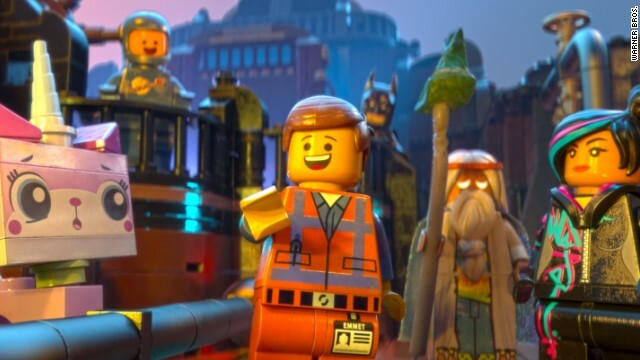 The Lego Movie tells the story of Emmet, a construction Lego worker who is so unnoticeable he makes wallpaper stand out. He goes through his little Lego life doing everything the instructions tell him to do, and he is super happy about it. His whole little Lego life changes the day he sees WyldStyle in the construction site where he works and falls through a hole. From there, it’s a wild ride through different Lego worlds to fulfill the prophecy foretold my Lego Morgan Freeman. The movie centers around the idea of a ‘special’ who will be able to save the Lego world from Lord Business and his diabolical plan to end the Lego world as they know it. 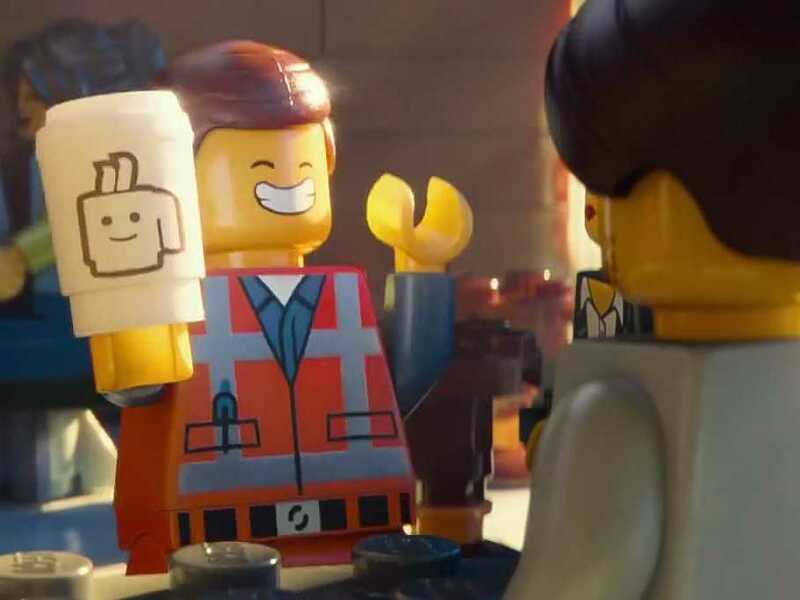 Chris Pratt, Will Arnett, Morgan Freeman, Liam Neeson, Elizabeth Banks, and Will Farrell, all take starring roles in a movie about a little Lego man that is more special than he realizes. 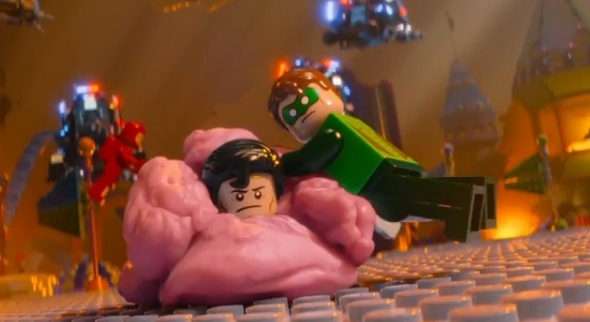 Lego Batman is in it. Lemme just put that out there: Lego. Batman. And Will Arnett does a much better job of Batman than Christian Bale ever could. Also appearing is Lego Superman, WonderWoman, the starring NBA lineup, Michelangelo, Michelangelo, 80’s Spaceman, Mermaid, Abraham Lincoln, Green Lantern, Unikitty, Duploblox, and not to mention a whole slew of other Lego figurines TO INCLUDE Chewbacca and Han Solo. The cast. Well, some of them, anyway. It’s a Lego dream come true. The movie works off of the notion that, Inside every Lego builder, there is a desire (and probably reality in many cases) to have an entire basement FULL of any and every Lego piece, customized or not. From there, it takes off into a story about a Lego that is so not-special, he’s special. It’s a movie with a surprisingly deep message about the line between creativity and structure and how both are sometimes needed. Too much of one thing and the world explodes into a cacophony of light, sound, and insanity that will make your head pop. Too much of the other and the world becomes mundane, placid, and uninspiring. It’s dark, too! I mean, for a kid’s flick, there were a few parts that made my eyes go wide. 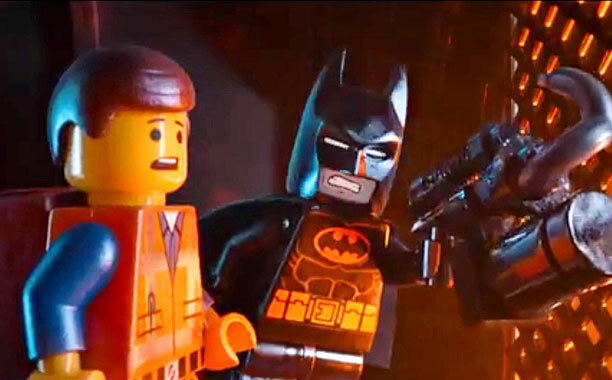 Admittedly, the Lego Movie did sag right in the middle. It slowed down and kind of faltered only to pick right up again. A more inspired soundtrack would have really helped, but, overall the movie was a lot of fun. It had puns, it had movie references, it had Batman, it had a Green Lantern that Superman really did not like. There was WonderWoman, and explosions, and a surprisingly nuanced plot. Whilst the movie may not be for the ‘whole family’, the kids will love it, and somewhere down deep inside, there is a tiny you that is silently jumping up and down in Lego-induced glee. Now if we could only get rid of that stupid Lego Friends thing. Toodles! Been out of touch lately and am trying to catch up with your blog – this was wonderful! I can’t wait to see the movie now! And I LOVE what you’ve done to the blog! The new look is very sharp. Thanks, Bubbe! I’m glad to see you again!!! *hugs* I like the blog much better now too.